New options are opening up – which one is right for you? Wondering how to build an app? There are a number of different approaches that are now open to you. 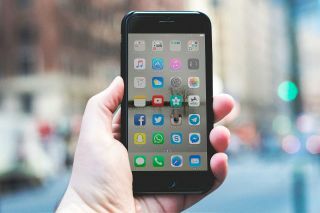 Tools such as React Native and Flutter (Google's recent addition to the party) are opening up new possibilities when it comes to mobile app development. Read on for our rundown of five different ways to build an app, to help to decide which one is right for you. The default way of developing on mobile is to write native code for each device – usually Java for Android and Swift for iOS. This can give you the best result, but the problem is that you then have two codebases to maintain. One possible future for mobile development moves away from the native environment completely. Web APIs now enable much more extensive interaction between web pages and devices than in the past and service workers mean pages can be cached and work offline. The technology isn't quite there yet but some people are betting that the future of mobile apps is actually web technology. For tips on how to get the most out of them right now, take a look at our article on nine amazing PWA secrets. This article was originally published in net, the world's best-selling magazine for web designers and developers. Buy issue 310 or subscribe.